Barbecue season has begun and we already hosted our first major barbecue party for the season with many more to come, God willing. Fresh, ice-cold lemonade is one of the best drinks for summer barbecue gatherings. 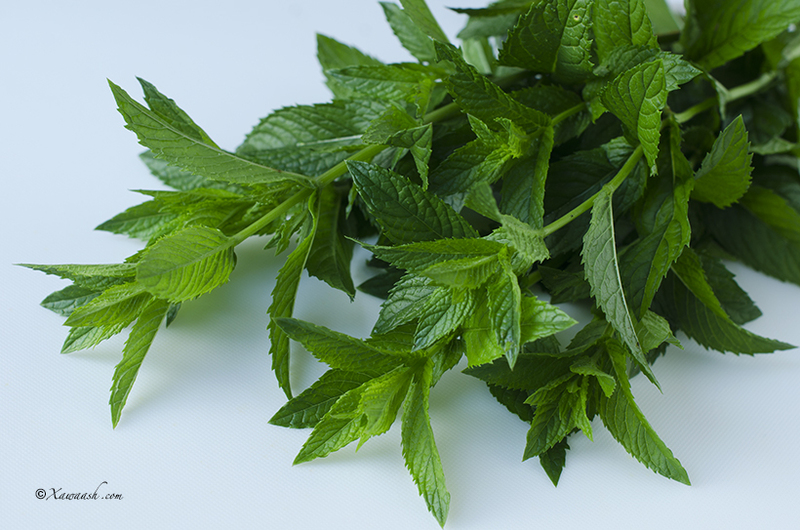 When you add fresh mint to it, it becomes even more refreshing. We grow lots of mint in our backyard which gives us a constant supply in the spring, summer and fall. 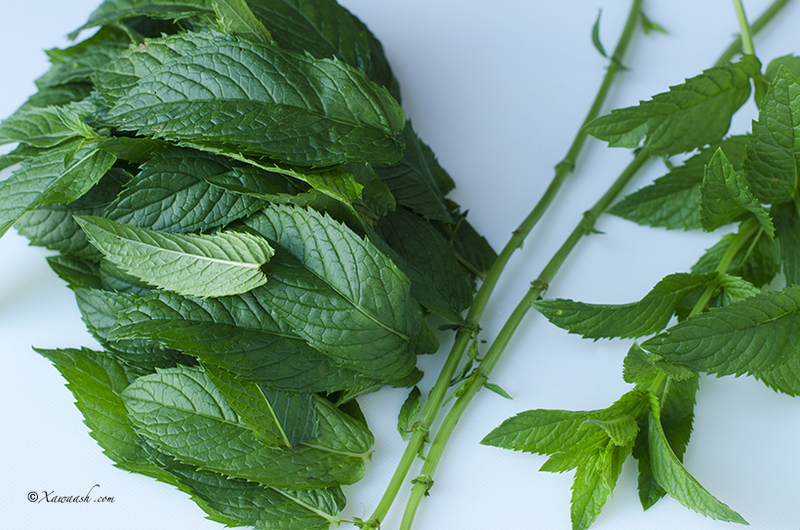 Mint is an invasive plant but we consume it at a rate that always keeps it under control. 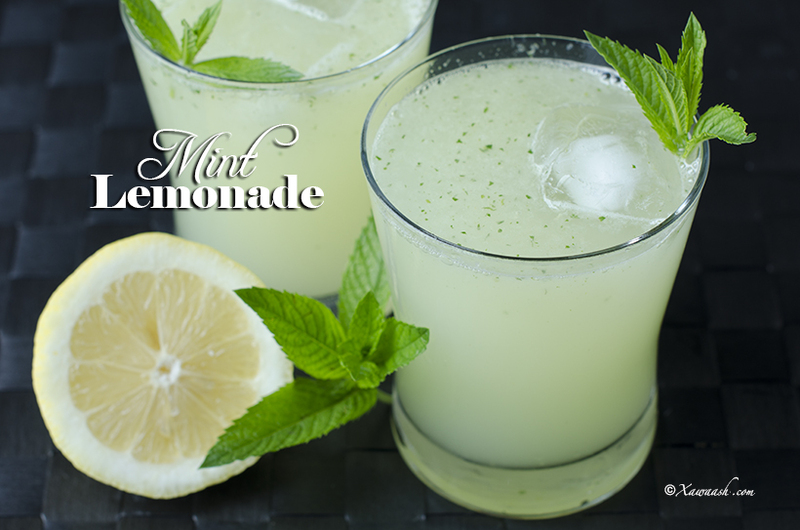 We add it lemonade, share it with our neighbours, and use it to make refreshing and relaxing mint tea. In Somalia, this was the method Hooyo Fadumo (Abdullahi’s mom) used to prepare lemonade, but she did not add mint. It was during our stay in Saudi Arabia that we started adding it to our lemonade and we continued doing so ever since. Wash the lemons and scrub very well, then cut each lemon into 12 pieces. Wash the mint well and pluck the leaves. 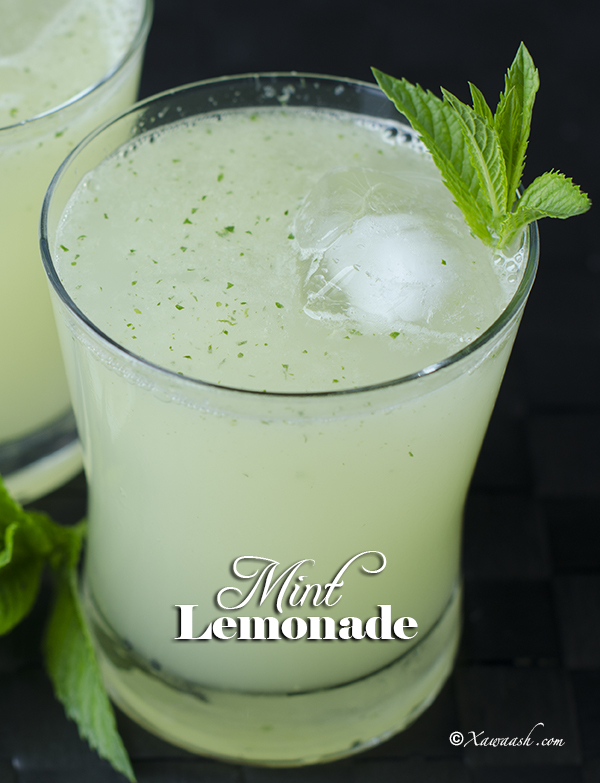 In a blender, place the lemon cubes, mint leaves, sugar, ice cubes and water. Serve with more ice cubes. 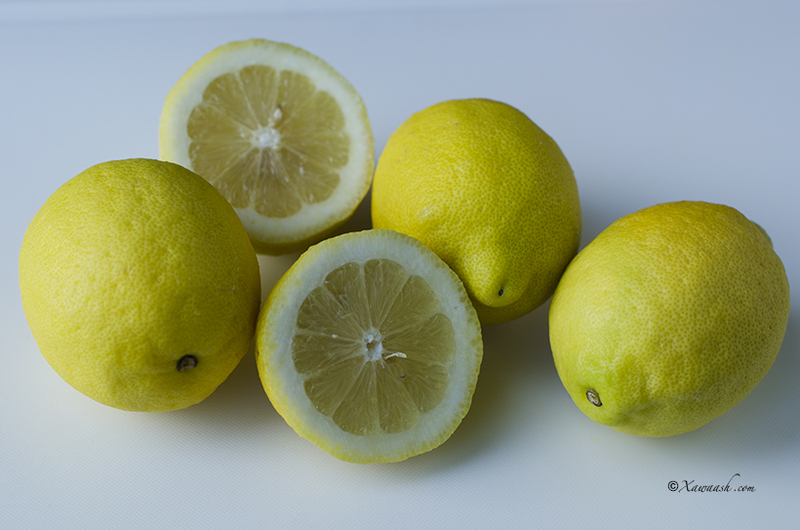 It is best to serve lemon juice fresh as it deteriorates in the fridge. Liinta dhaq, si fiicanna u rug. Mid walba waxaad u jartaa 12 gabal. Nicnaaca si fiican u dhaq, kaddibna caleemaha ka jaro. Khallaatka ku rid liin dhanaanta, caleemaha nicnaaca, sokorta, barafka iyo biyaha. Battanka “pulse” 5 goor (jeer) guji (riix). Baraf ku dar markaad qaddimaysid. 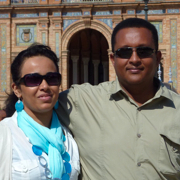 Casiirka liin dhanaanta wuxuu ku fiican in dhaqso (durbaba) la qaddimo haddii kale dhadhanka wuu isbeddeli doona, xitaa haddii aad gelisid qaboojiyaha. La saison des barbecues a commencé et nous avons déjà organisé notre premier barbecue de la saison avec de nombreux à venir, si Dieu le veut. La limonade glacée fraîchement pressée est une des meilleures boissons à servir pour les fêtes et barbecues. Lorsqu’on ajoute de la menthe fraîche, elle devient encore plus rafraîchissante. Nous avons beaucoup de menthe qui pousse dans notre jardin ce qui nous alimente tout le printemps, l’été, et l’automne. La menthe est une plante envahissante mais nous la consommons à un rythme qui limite l’invasion. Nous l’utilisons dans la limonade, la partageons avec nos voisins, et préparons du thé à la menthe rafraîchissant et relaxant. En Somalie, Hooyo Fadumo (la maman d’Abdullahi) faisait de la limonade comme cette recette, mais elle ne mettait pas de menthe. Ce n’est qu’en Arabie Saoudite que nous avons commencé à utiliser de la menthe et nous avons continué depuis. Laver les citrons et bien les brosser, puis couper chaque citron en 12 morceaux. Laver la menthe et détacher les feuilles. 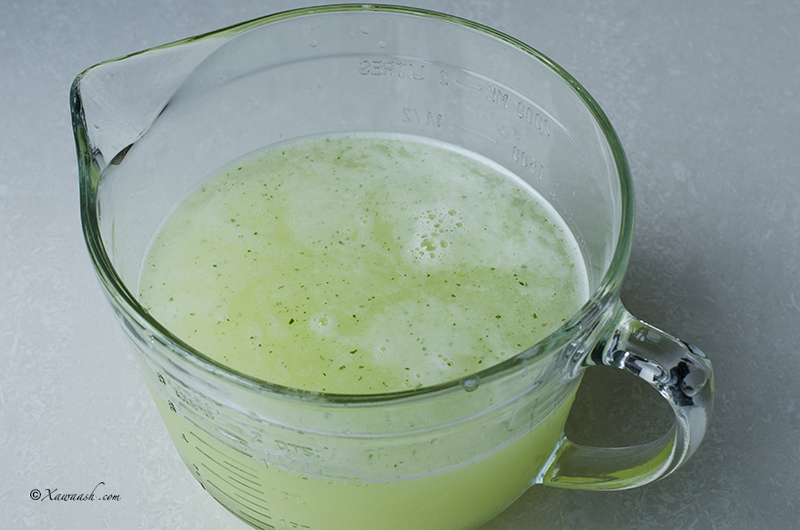 Mettre les morceaux de citron, les feuilles de menthe, le sucre, les glaçons et l’eau dans un blender. Appuyer sur pulse 5 fois. Servir avec des glaçons. Il vaut mieux servir du jus de citron frais car il se dégrade dans le frigo. يغسل الليمون مع الفرك باليدين ثم تقطع كل حبة الى 12 قطعة. يغسل النعناع جيدا وتقطف الاوراق. توضع قطع الليمون في الخلاط وتضاف اوراق النعناع، السكر، الثلج، والماء. يضغط 5 مرات على زر “pulse”. يضاف اليه الثلج ويقدم. يفضل ان يقدم فور تحضيره لأن الطعم سوف يتغير حتى اذا وضع في الثلاجة. That looks lovely and refreshing. Would have to try it soon! We hope you will like it. Thank you. I made it yesterday. The whole family loved it and believe me they finished it the same day. It was so refreshing and the taste of the mint was yummy.Thanks again. We are happy to know that. Thank you for the feedback. You will need 1 cup sugar. I love this. I have made it several times in the last two months or so, and have always been pleased. I usually bought Still Lemonade, as it is labelled here in the U.K, in supermarkets. Then I tried to make my own but it wasn’t as nice as this, masha’Allah. So I was pleased to find this recipe; and have also tried it using limes, which was nice, too. My husband likes it, as well. Thank you very much. Thank you for letting us know. We are happy that you and your husband like it.